Posted last week but quickly sold out and expired, but now back and I've just ordered one. Use code TDX-RFXW to get £10 off it reducing it to just £65. do i risk them taking my money for another few days. did anybody actually get one last week? I did get one of these last week, the other make they also had one for a 22" at £75 they took my order and then my money but refunded it same day but still haven't bothered told me the order is cancelled, I just spotted the refund in my account. I've just ordered a second one of these for the spare bedroom as its so cheap. Oops forgot to enter code. Sorry op! Ordered! Thanks, I was about to go thru the hassle of getting an old TV thru freecycle to go in the bedroom, but this'll be much better, and with £15 of Daily Mail vouchers to come from my parents, (they buy it but cant be bothered with the loyalty codes, so I type em in for em and get the credits ) it's £50, can't really deny myself a new one! Anyways, just keeping my fingers crossed that it's not cancelled before Wednesday morning when I collect, maybe I should have paid the extra fiver and had it delivered tomorrow so they didn't have so much time to change their minds! ordered, but not holding much hope. I don't get why people are pessimistic about Tesco fulfilling this offer? Do they have a habit of cancelling orders? Not in my experience. I ordered on the same offer last week, albeit the UMC model and it was at my local store less than 48hrs later for collection. £65 for a 22" LED Freeview telly, well happy with it! Can't see it being honoured, but have ordered one for my daughter's birthday. Thanks OP, it's always worth a try. I don't get why people are pessimistic about Tesco fulfilling this offer? … I don't get why people are pessimistic about Tesco fulfilling this offer? Do they have a habit of cancelling orders? Not in my experience. I ordered on the same offer last week, albeit the UMC model and it was at my local store less than 48hrs later for collection. £65 for a 22" LED Freeview telly, well happy with it! 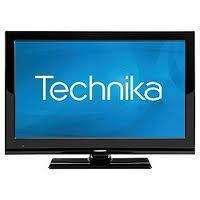 I order one of the UMC and Technika 22" ones last week - I've had an email confirming the Technika is ready for collection, but the UMC one I just got the order confirmation, then they took my payment but refunded it same day but haven't yet informed me of that. Before this I've never had a problem. Ordered thanks. Need a cheap TV for the kitchen. Can't see it being honoured, but have ordered one for my daughter's … Can't see it being honoured, but have ordered one for my daughter's birthday. Thanks OP, it's always worth a try. Ordered it last week and it was delivered the next day. I say bite the bullet and pay the delivery charge, that way you'll definitely get it and it will pass through less hands that will potentially damage it. I got one of these delivered to store. A really nice little machine - my only complaint was that the remote was a bit tacky and flimsy, but that's hardly worth moaning about at the price. It plays AVIs off the USB (although not MP4s) and it moves really quickly through menus. For £65 it's an amazing bargain. Got the UMC one last Thursday but haven't got round to plugging it ib yet as am waiting for my wall bracket. First order was cancelled but second one was honoured as I called them up to complain they gave me £10 off again. My only complaint was that the remote was a bit tacky and flimsy, but … My only complaint was that the remote was a bit tacky and flimsy, but that's hardly worth moaning about at the price. I was thinking of getting a all-in-one remote for when I wallmount it and hook a dvd player up to it, that way I won't be tripping over remotes! anyone know how I can get the 1080p picture to come on? I got mine yesterday and I hooked it up to the 360 and the setting shows as 1080i. Its only 22'' so wont make the difference but hey, it says on the box its 1080p so want to set it up as that. Picture comes up fine with the hdmi lead. ive got no antanae or aerial set up as im not using it to watch tv at all. Just want it for gaming. so when i hook it up to a hdmi lead,the picture comes up but when you press the info buttin, its shows as V:60hz and 1080i. when I press another button the setting changes to V:50 hz and 1080p but then the screen goes blank. and when its gone blank, its switched to tv mode and thus ive got to scroll down to take it back to hdmi screen. Got the UMC one last Thursday but haven't got round to plugging it ib yet … Got the UMC one last Thursday but haven't got round to plugging it ib yet as am waiting for my wall bracket. First order was cancelled but second one was honoured as I called them up to complain they gave me £10 off again. which wall bracket did you buy? anyone know how I can get the 1080p picture to come on? I got mine … anyone know how I can get the 1080p picture to come on? I got mine yesterday and I hooked it up to the 360 and the setting shows as 1080i. Its only 22'' so wont make the difference but hey, it says on the box its 1080p so want to set it up as that. Picture comes up fine with the hdmi lead. ive got no antanae or aerial set up as im not using it to watch tv at all. Just want it for gaming. so when i hook it up to a hdmi lead,the picture comes up but when you press the info buttin, its shows as V:60hz and 1080i. when I press another button the setting changes to V:50 hz and 1080p but then the screen goes blank. and when its gone blank, its switched to tv mode and thus ive got to scroll down to take it back to hdmi screen. any help....please? Had my original order cancelled, then they hung up on me when I called to re-order because I wanted it for 65 quid, now it says I used the money off voucher already. Muppets. Ordered. This site costs me a fortune by saving me a fortune! Hey everyone, would this be a suitable wall bracket for this TV? does it? I only just switched on the 360 and was on the main home screen where I pressed the info button to get the 1080i message. will try a few games and see if that makes any difference. I thought the 30 was set up to output at 1080p if the tv allowed it. Nice but is this just for limited time offer ? or will always be at this price ? by the way,ive got the UMC one too and that displays 1080p straight out of the box as soon as the 360 is connected. No need to mess about with any settings so was surprised with the technika one only giving out 1080i. by the way,ive got the UMC one too and that displays 1080p straight out … by the way,ive got the UMC one too and that displays 1080p straight out of the box as soon as the 360 is connected. No need to mess about with any settings so was surprised with the technika one only giving out 1080i. Not trolling or whatever, but on a 22" TV is it a noticeable difference between 1080i and 1080p? Not trolling or whatever, but on a 22" TV is it a noticeable difference … Not trolling or whatever, but on a 22" TV is it a noticeable difference between 1080i and 1080p? Its been back in stock all weekend, I told a few people on another forum about it. In fact IIRC I also told people on the original thread on here last week. I got a UMC one, seems good for the money. Try asking on the original thread. muzzzzzzzy has got his hooked up to his 360 and says 1080p no problem. 22" you must live in a box. Heated - cheers OP. Ordered one so fingers crossed. Incidentally, the Tesco website is a bit nuts - I live near Chester - the "order to store" option is telling me my nearest stores are in Belfast - apparently only 2 miles away, whereas Chester is 4 miles away! I guess it's not counting the sea in-between.